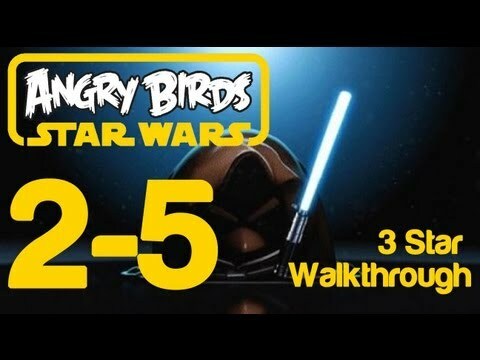 Here I am with yet another Angry Birds Star Wars guide. Now we are on to level 2-4! Let's get started! In this level you are given 4 birds. All four of the birds are Bird Pilots. Your goal is to take down 7 enemies. Five of those enemies are Pig Troopers. One of them is a Pig with a Helmet and the last pig is a Oink Fighter. Now they are on a planet. On the planey there are four pillars. On the first three pillars is one Pig Trooper on each. On the last pillar is the Pig with a Helmet. Ten you have two small blocks in which there is a Pig Trooper. 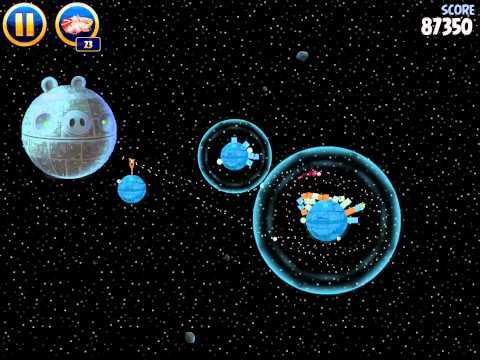 The last enemy is an Oink Fighter which can be found floating above the two far Pig Troopers. In between the last pillar that contains the Pig with a Helmet and the first block which contains a Pig Trooper, there is a TNT block. To beat this level, you first need to send one Bird Pilot into the front of the pillars. Once you enter the force field, I recommend using the ability and get three birds instead of one. This should knock down most of the pillars into a pile of rubble. Then use another Bird Pilot and launch that into the air. Over the rubble. Use the ability for three birds and hope that you hit the TNT block with one. A block or two should fly and hit the Oink Fighter and the rest should already be destroyed. I got a score of 71,800 points and that was enough to get me 3 stars. The minimum score you need for three stars though is 71,000 points. So, I barely made it over the requirement to get three stars. The next level we are is to level 2-5. In level 2-5 you are given 4 birds. All four of those birds are, again, all Bird Pilots. Your objective is to take out 16 enemies. Yes, 16!! All 16 of them are Pig Troopers! There are two planets in this level. Both are surrounded by a force field. Now on the first force field, there are two Pig Troopers. Each Pig Trooper is on it's little pillar. On the second planet, there are 14 Pig Troopers. As the first one, each Pig Trooper is on a pillar. Between the first Pig Trooper and the last Pig Trooper on this planet, is a TNT block. To crush these Pig Troopers in this level, you need to send one Bird Trooper into the battle of the second force field. Use the three bird ability once you enter the force field. They should knock down most of the pillars and destroying most of the Pig Troopers. 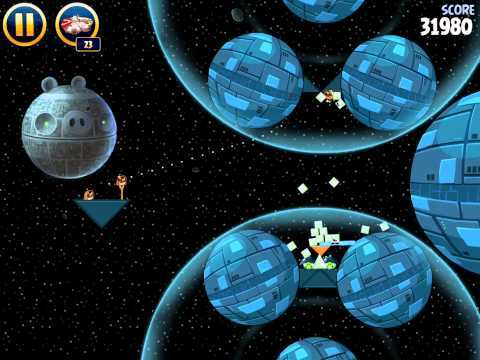 The Pig Troopers in the first planet will be destroyed by gravity. Also, you may need to use a second bird. I had to use a second bird to finish off the extra Pig Troopers that survived. My score was 110,510 points and got three stars and added on to my score. The minimum score you needed for three stars on this level was 109,000 points, which is not that much. Lastly, we are on to level 2-6. In this level, you are given 3 birds. All three of those birds are Obi-Wan Kenobi. We haven't had him in awhile! Well, your goal is to take down 7 enemies. Three of the enemies are Pig Troopers. The other four of the enemies are Pigs with Helmets. So, there are basically two force fields in this level. Inside the force field on top, there are two Pig with Helmets. They are covered by a barricade with multiple stone blocks. There is another force field on the bottom, with the same thing. It has two force fields and a barricade with stone blocks. In between the two foce fields, you can find the three Pig Troopers floating in their bubbles. 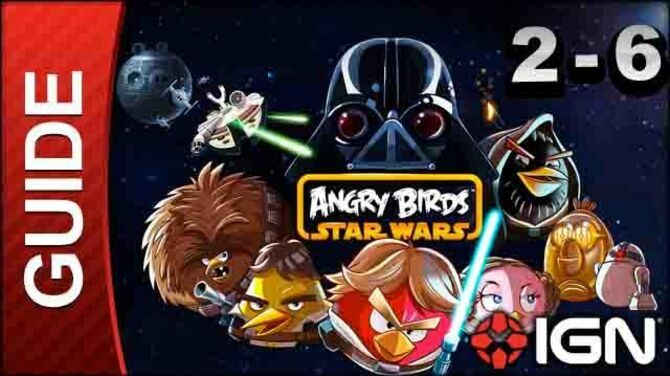 To beat level 2-6, you must send Obi-Wan Kenobi towards the top force field on the left side. This will make you destroy the metal plank. As you detroy it, you must use the ability of force to launch all the stone blocks everywhere. You will get lucky and pop the bubbles that the Pig Troopers are in, and they will freeze to death. The stone blocks will fall into the bottom force field and break the metal block. This will ultimately lead you to a victory and another three stars. Persoanlly, this was the easiest level of these three. I finished it with one try! 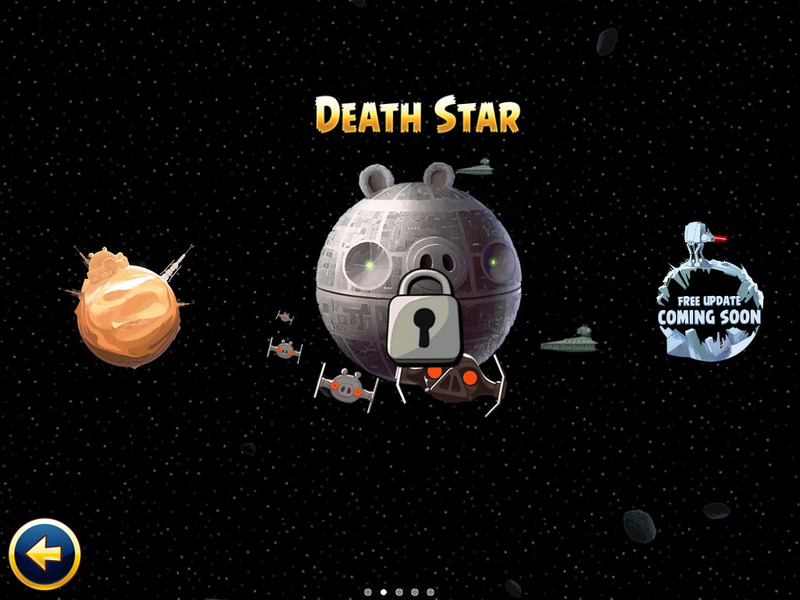 My score was 63,090 points which led to 3 stars adding on to my total for the Death Star world. Although I got that score, the minimum you needed was 60,000 points. This level was a super easy one and I don't think you will have any difficulty with it. Well, that the end of this Angry Birds guide. I sure hope you liked the guide and I hope it helped you completely. 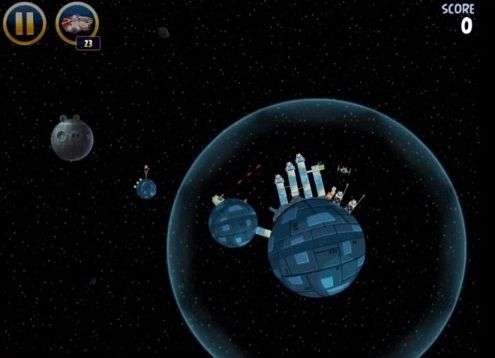 You should be up to 18/120 stars for the Death Star world. We are 15% done with the Death Star world!! This is spm8675309!